Established in 2004, DECO Australia is the brainchild of CEO and visionary Ross Doonan. With many years of experience in the building industry and aluminium finishing, Ross saw potential in ground-breaking new powder coating sublimation technology that had been developed in Italy. After travelling to Italy to learn more about these processes, Ross made the bold decision to start his own aluminium photo imaging business. Ross’s philosophy was simple – to deliver a unique high quality, aesthetically pleasing durable finish for aluminium building products, whilst also delivering exceptional standards of quality and service to customers. Ross mortgaged all of the family assets and took the bold step to start DECO. Ross was joined in his venture by eldest daughter Meika, and they set up a small factory in Mittagong, NSW. With a firm belief in their product and drawing confidence from other family business success stories, the Doonans navigated their new business through difficult early start-up stages and the Global Financial Crisis. Sisters Ella and Clare soon joined them, with Ella using her creative talents to get their marketing off the ground. Youngest sister Clare started off helping out in the factory during school holidays, but quickly rose up the ranks to become factory manager. Ross’s wife Alison soon followed after retiring from teaching, lending a helping hand with admin preparations and home shows. Together, the Doonan family team were ready to take on whatever challenges were thrown at them. As the tough early years began to bear fruit, the new technology and their leading timber grain powder coating finish, DecoWood, began to create a wave of excitement in the architectural and building industries. The Doonan family had found their ground, and business picked up. The company moved to a larger factory at Chipping Norton, and created a range of specialised aluminium building products including DecoClad, DecoBatten, DecoSlat and DecoDeck. Once Decorative Imaging hit its stride, they expanded to include other powder coated aluminium products, including DecoSplash, a line of decorative kitchen splashbacks and wet area linings, and DecoSign, anti-graffiti signs. No longer just an imaging business, Decorative Imaging rebranded to DECO in 2018 with the help of Ella’s creative skills and strategic thinking. 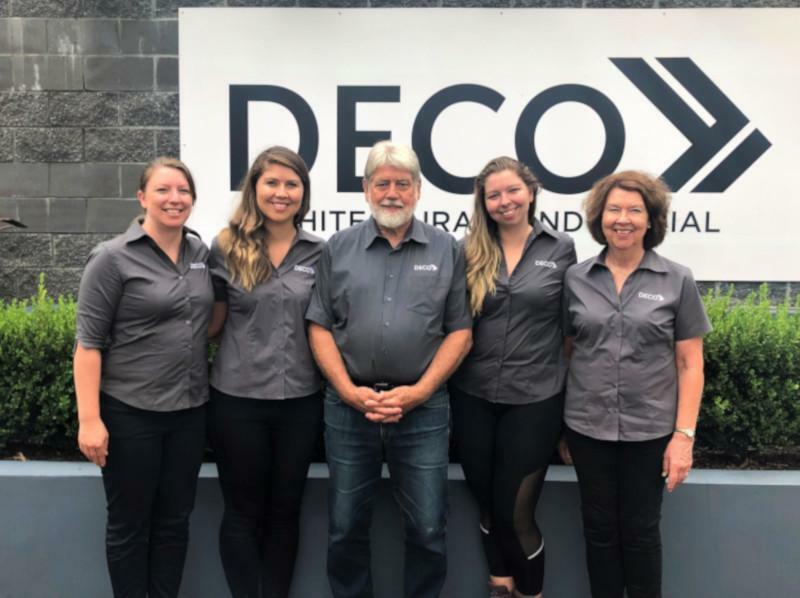 They also moved to a much larger new location in Minto NSW whilst also establishing their new arm, Deco Industrial – a range of protective metal coatings and finishing techniques to complement their ever-expanding architectural range. As it moves into a new era, DECO continues to be an innovator in aluminium building products and metal finishing technologies.